Florida manatee, Trichechus manatus latirostris, a subspecies of the West Indian manatee, endangered. 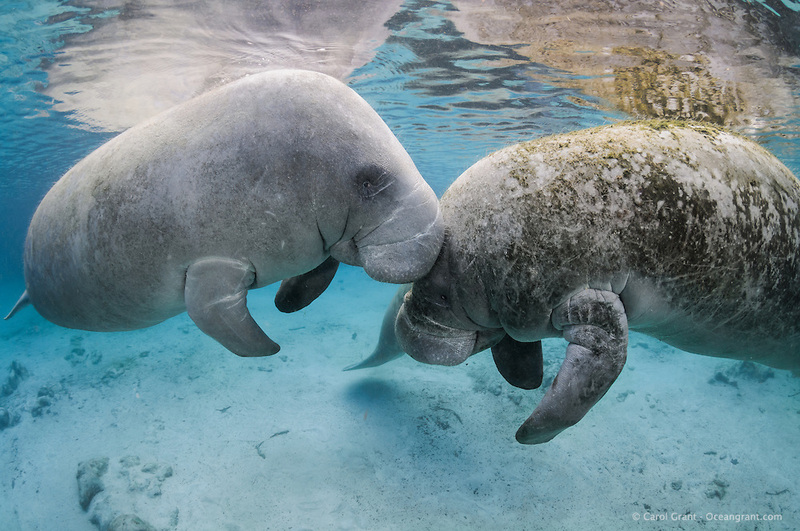 A manatee gently touches another with its snout during socializing or cavorting behavior. Horizontal orientation with blue water and reflections Three Sisters Springs, Crystal River National Wildlife Refuge, Kings Bay, Crystal River, Citrus County, Florida USA.